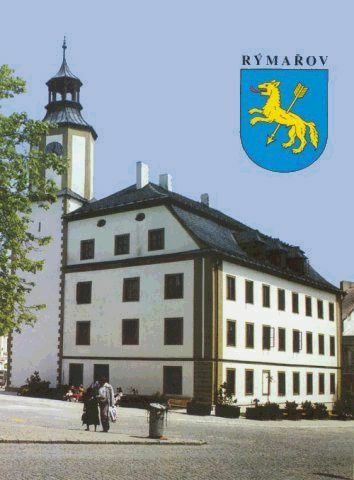 This typical city is located in the western part of Moravie of North, in the district of Bruntal, to 602 m of altitude, the gate of the mountainous solid mass of Jeseniky. The distance until Praded, which is the climax of the Jeseniky solid mass, and at the same time the highest mountain of all Moravie and Silesia, are to approximately 10 km in straight line. 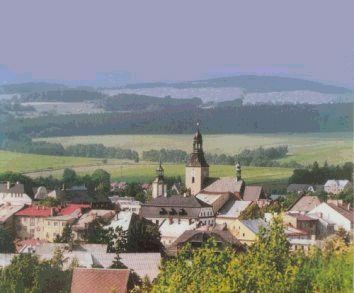 The city is located on the natural surface of the mountains of " Jeseniky ". Rymarov is a town of 10 000 inhabitants, which now saw textile industry, pieces of furniture, exploitation of wood and tourism. The weapons of the city represent a wolf upright crossed of an arrow. A legend tells that mangeuse female a " men " attacked the population, sowed terror in the city. It would have been killed by a courageous archer. Rich person forests as well as other natural elements, meadows, brooks still clean, and natural and historical sites of interest, create exceptional conditions for the voyage, the entertainments, tourism. The area is very attended also for its strategic situation: carry mountainous solid mass of Jesenicky, proximity of the historical city of Olomuc, located close to the thermal spas to Karlova Studanka, Jesenik or Hairy Losiny, or close to ski resorts like Mala Moravka, Karlov and of the node of Jeseniky. Falls of Resovské vodopady; the small Huntava river crosses the village of Resov, moves away from Rymarov by south-west and forms the famous falls of Résov. The Komensky lime: this lime was planted into 1592. Rymarov and its surroundings particularly attract the tourists by the preserved environment. In the surroundings, there are many pedestrian footpaths and cyclists. Close to Praded, which is the highest mountain of Moravie and Silesia (1 492 m) and close to the ski resorts of Mala Moravska and Karlov. Rymarov is a center of interest for much of tourists during the summer and for the fanatics of winter sports.